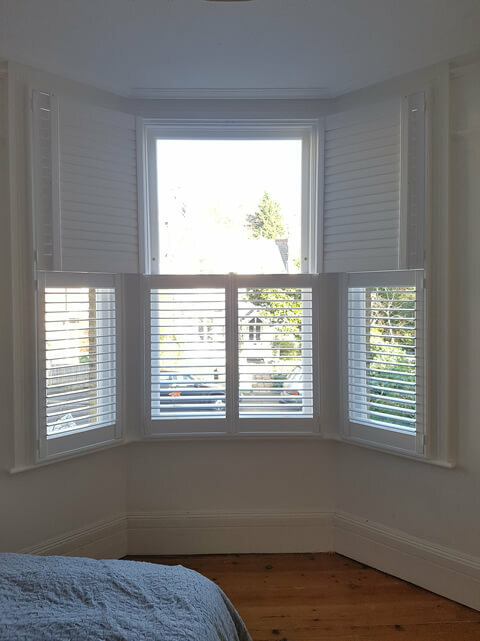 A new customer was looking to have some shutters fitted to the bedroom of their apartment in Muswell Hill, Haringey in North London. 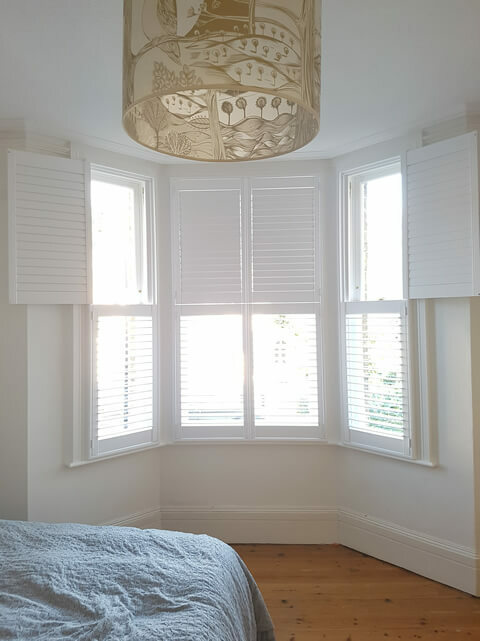 The client was looking to take advantage of not only the look of our shutters on sash windows but the control of lighting and privacy that can be gained with the bay window. 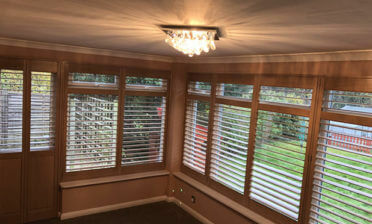 Discussing the different shutters we offer in detail with the client it was decided on having Tier on Tier shutters fitted, to make the most out of the three sided bay window and create the ultimate in flexibility when it comes to adjustment of the shutters. With Tier on Tier you can adjusted each panel individually as well as open and close the top and bottom sections independently due to the split panels in the middle. We created the shutters using our Fiji Range of shutters which was perfect due to the light weight, yet rigid nature of this hardwood. We use this range as the top tier of these shutters has nothing to rest on, so a light weight solution is crucial for the longevity of these shutters. 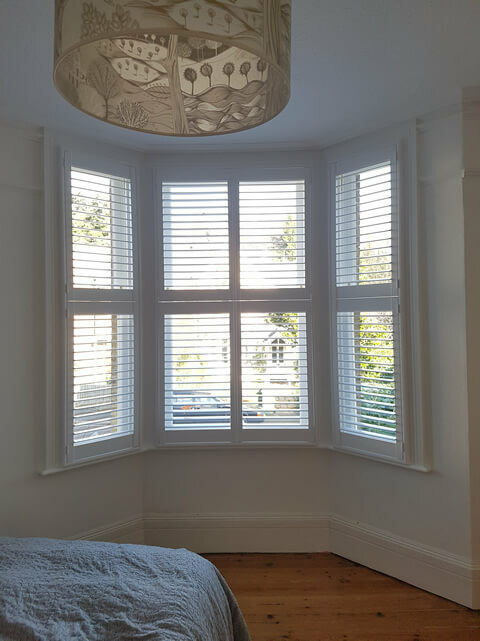 The shutters have created far more lighting and privacy options for the bedroom and really suit the period feel of the apartment, compared to standard curtains or blinds. 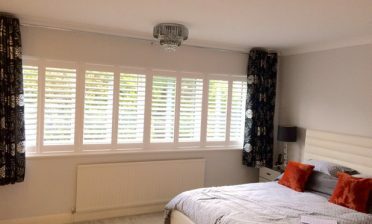 We finished the shutters in pure white with 64mm louvres and a hidden tilt rod system to create a minimalistic feel to the whole installation.